Adam Ferrara was born on 2 February 1966, in New York City, New York USA of Italian ancestry. He is a lesser known comedian and actor who currently plays the character of Frank Verelli in the dark satirical dramatic comedy series “Nurse Jackie”, but is also a host of the American TV version of “Top Gear”. So how rich is Adam Ferrara? While he is not one of the wealthiest actors, sources estimate his current net worth to be $2 million, accumulated through his acting career over more than 20 years. 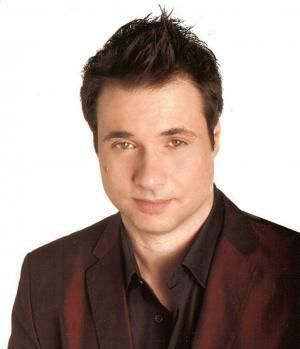 Adam Ferrara started his professional career as a comedian first. He appeared on “Comedy Central Presents” – the main show on this channel for several years, and has received two nominations for “Best Male Stand-Up” in American Comedy Awards, although unfortunately not winning either. Throughout his career and even now, he still appears in various comedy shows such as “Comedy Cellar” and “Caroline’s” which contribute to his success. Comedy is and has always been Adam Ferrara’s main interest, even after he moved on to being a television actor more than a comedian. As his main comedy influences, Adam lists Richard Pryor, Chris Rush and Jackie Gleason. As usually happens with actors, Adam began his career by appearing in various television shows, then slowly moved on to bigger roles. His first TV appearance was on Fox’s situational comedy series “Flying Blind” in 1993. During the next few years he appeared in other situational comedies such as “Social Studies” and “The Love Boat: The Next Wave”. He has also appeared in the police comedy drama “The Job” as a regular actor for a few seasons. These appearances added steadily to Adam Ferrara’s net worth. Adam Ferrara’s first film appearance was in the 2003 film “Ash Tuesday” which is a movie about the tragic events of the 9/11 incident. In 2008 he appeared in the romantic comedy “Definitely, Maybe”, a year later in an action comedy “Paul Blart: Mall Cop”, and the independent drama “Winter of Frozen Dreams”. Starring in these movies has definitely contributed to Adam’s net worth and success as an actor, however, the work that came after these probably had much more significance in how much money he makes. In 2010 he became one of the hosts of the popular motoring television series “Top Gear”, which is the American version of a widely known British television show. However, Adam’s comedic background has ensured his success as a host and he remains one of the show hosts for five years now. In 2013 he was chosen as a cast member of the medical satirical comedy series “Nurse Jackie”, which has also contributed in raising his net worth. In his personal life, Adam Farrara is married to the actress Alex Tyler. Anthony Cumia, a talk radio broadcaster, is one of the best friends of Adam and that is the reason he is occasionally invited as a guest on Anthony’s radio programs. 1 What if God's a woman? Not only am I going to hell, I'll never know why! 1 Shared an apartment with Kevin James. 2 Played Carnegie Hall with his parents in the audience. 3 Opened for his comedy idol George Carlin. 4 Was a part of the Comedy Central Roasts of Rob Reiner and Denis Leary. 5 Boyhood friend of Anthony Cumia, co-host of the "Opie and Anthony" show on radio stations across America and XM radio. 6 Had appeared in commercials for the Olive Garden. 7 Currently lives in between Los Angeles and New York City. Dads 1997 TV Short Carl Sr.